The Drama for Life Monitoring, Evaluation and Research Office oversees monitoring and evaluation efforts at Drama for Life, for compliance, research and knowledge sharing. It uses a context and discipline specific approach for the collection and analysis of data for proposal and report writing; the development of funding streams for research and publication; and the creation of access to material and information resources. The Drama for Life Resource Centre and Archive is a library of current print and digital publications, archiving new and previously undocumented indigenous knowledge in the fields of Arts for Education, Healing and Social Transformation. It intends to provide students, researchers, practitioners and educators working in Arts, Education, Social Development and related fields access to best practice methods and approaches. Drama of Life Arts in Conversation a much needed initiative within the Creative Arts sector, this series of curated dialogues with leading thinkers and commentators on the selected themes is informed by our involvement with various Policy debates and discussions. The Drama for Life Performance Space is an in-house, multi-functional space equipped technically to host a variety of events. The space allows for the interdisciplinary multimodal experimentation of performance as research, Theatre-Making practice, Theatre and Performance studies explorations and other forms of experimental art making processes and presentations. The Drama for Life Theatre Company is a professional team of performer-facilitators who lead various community engagement programmes, trainings and produce research in our Applied Drama and Theatre techniques. It was established in 2016 on the principle that theatre, drama, poetry, installations, street performance, clowning, song, dance and digital media are all essential components that allow us all to process, witness, appreciate, learn, reflect on, and understand the world we live in. Within the South African context, this approach to performance, intervention and training has proven to be effective in its relevance and relatability to multiple audiences. Using a highly sophisticated methodology that allows practitioners, once trained, to address the complex and highly sensitive subject matter in a stylised, theatrical way; and in a way that is engaging, relatable, safe and highly interactive. Theatre Company productions include Unzipped, Mainane, Space Rocks and Insta-Grammar. The Drama for Life Performance Laboratory is a professional artist development and creative research programme that contributes to the creative research output of the Creative Research Hub. The research output from the Performance Laboratory is centred on developing and interrogating best practice models within our sector of theatre and community intervention and training models. 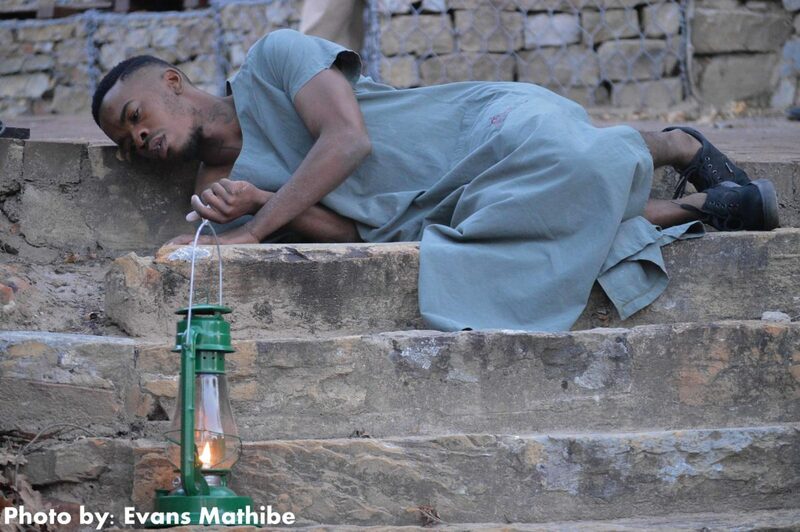 Works that have emerged from the Performance Laboratory include ID Pending, Hayani (received the Naledi Award for Best New South African Play in 2014), Through Positive Eyes (nominated for the Naledi Award for Best Ensemble in 2015) and Kasi Stories. Drama for Life Playback Theatre is a spontaneous, reflective performance tool that uses an innovative form of storytelling theatre to address various social issues. It is an interactive vehicle that invites audience members to process specific themes/subjects as a collective by having them share personal moments or narratives, and reflecting on the experience of watching these played back to them. It is bound in the belief that it is the lived experiences of others and the performers that stimulate empathy and promote a sense of community, to those who witness Playback Theatre. Playback Theatre has successfully worked in university, school, corporate and community setting addressing complex subjects such as bullying, race, gender violence, identity, corporate change management, etc. The Drama for Life Artist-in-Residence Programme is a performance arts programme, centred on creative research production and promoting creative exchange and collaboration. The Artist-in-Residence programme engages with both emerging and acclaimed artists such as Bobby Gordon (USA), Marina Magalhães (Brazil), Nyaniso Dzedze (SA), Yana Seidl (UK), Tamara Guhrs (SA) and Craig Morris (SA).